Control your hearing aids, find relief from your tinnitus, take a hearing test and play listening games. Monitor your body and brain health with your smartphone and the Thrive™ Hearing app. The Thrive Hearing app is a full-featured, easy-to-use app that puts you in control of your Esentia and Esentia AI hearing aids. Set daily body and brain health goals and monitor your progress. 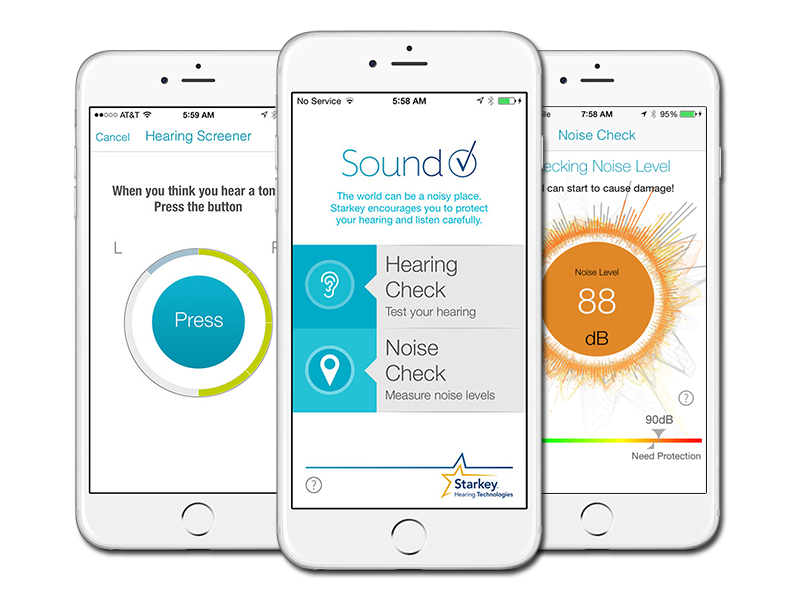 The Thrive Hearing app gives you a Body Score, a Brain Score and an overall score combining the two, called a Thrive Wellness Score. Available in Esentia AI hearing aids only. Your hearing care professional can make minor adjustments remotely so that you don’t need to make an office appointment. Answer phone calls with the touch of a button and hear an entire conversation streaming directly to your Esentia AI or Esentia hearing aids via Bluetooth® technology. Did you know an estimated 50 million Americans experience tinnitus? 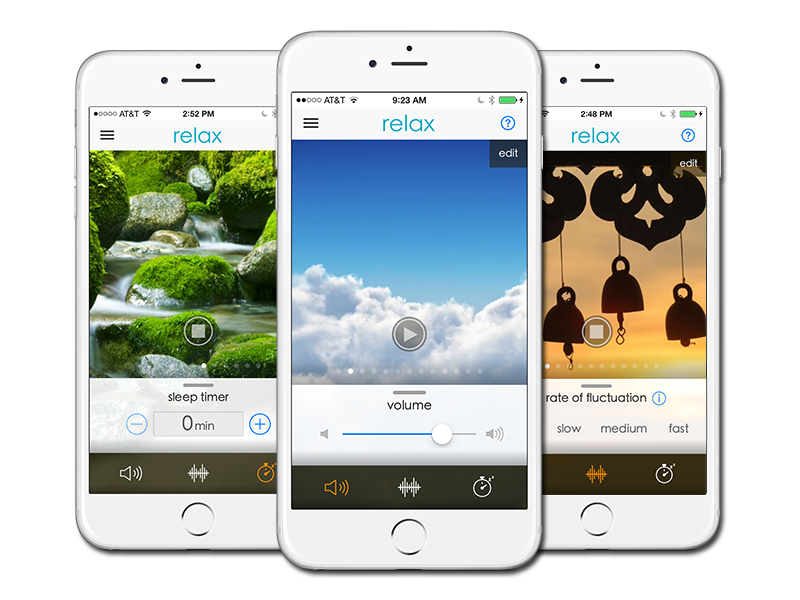 Relax is a tinnitus app that includes 12 different relief sounds designed to decrease the loudness or prominence of tinnitus and provide personalized relief. All 12 relief sounds can be customized to your unique tinnitus and saved. Users can stream relief sounds directly to Made for iPhone® hearing aids via an Apple device or directly to 900 MHz wireless hearing aids via SurfLink™ Mobile. Relax includes comprehensive tinnitus education about symptoms, causes, treatments and solutions as well as a way to reach a hearing professional for additional consultation via our Appointment Booking Call Center. Easily stream phone calls, music and more directly to your hearing aids. TruLink® seamlessly connects your Made for iPhone® Hearing Aids to your iPhone, iPad® or iPod touch® with pristine sound. Answer phone calls and hear the entire conversation streamed directly into your Made for iPhone Hearing aid via Bluetooth® technology. Personalize and geotag hearing aid settings to match what you do and where you go. Easily control your hearing aid volume and memory settings via your iPhone. Just how loud is that restaurant? SoundCheck is a hearing screener and sound level meter app that allows you to measure environmental noise levels. You can quickly evaluate your own hearing and determine if it is within a normal range or if you have potential hearing loss. See your hearing results in an easy-to-understand format. Your screening results can be saved to track changes over time and to discuss further with a qualified hearing professional. Noise Check can measure the noise levels of your current location. Love games? Hear Coach is a suite of listening games that challenge both your cognitive and auditory sharpness. Listening games designed for people who might have a hearing loss or hearing aid wearers who want to get the most out of their listening. Track your progress over time and unlock more challenging levels as your performance improves.